The eyelids perform a number of functions which include protection of eyes from foreign debris and also lubrication. Normally our eyelids are supposed to stay up. Because of issues of the ocular muscles the eyelids tend to become loose and droop down from their normal position. This drooping is known as Ptosis. Aponeurotic ptosis or involutional ptosis: – Aponeurotic ptosis is a type of ptosis which is acquired at a later stage in life mostly in older people. Aponeurotic ptosis occurs slowly as the levator muscles get loosened up. Congenital ptosis: – This type of ptosis is present in young children and is a congenital disorder. Also some children acquire ptosis at a very young age; in that case the ptosis is also called congenital ptosis. Acquired ptosis: – This can happen due to a variety of reasons. Even Aponeurotic ptosis is a type of acquired ptosis. Aponeurotic ptosis is an acquired condition mostly found in older people. The levator muscles of the eyelids in older people could get loose because of age. The eyelids become abnormal because of levator dehiscence from the anterior tarsal surface, stretching or disinsertion. Aponeurotic ptosis could also be a side effect of cataract surgery or glaucoma filtration surgery as well. It causes disruption of superior visual field. Though it is considered to be a form of acquired or involutional ptosis in older adults, it can also be found in younger patients also. in young patients, due to prolonged wear of contact lenses the levator disinsertion may take place. In case of aponeurotic ptosis, generally, the patient could have a history of ocular surgery or injury, good levator function with thin eyelid above the tarsus along with normal function of the Muller’s muscle. Fully obstructed or partially obstructed vision. Aponeurotic ptosis can cause asymmetry of eyelids. Since the patient is trying to pull his head and chin up to look at things, the neck and the head get tired. How is Aponeurotic ptosis treated? The best treatment for Aponeurotic ptosis is surgery. Before the surgery, the oculoplastic surgeon will check for the extent of Aponeurotic ptosis. The symptoms of the Aponeurotic ptosis in the patient are also observed. The patient is asked to keep the head and the chin in the normal position to observe the extent of the Aponeurotic ptosis. Various other ocular conditions including a vision test is done on the patient before the surgery for Aponeurotic ptosis. Before the surgery, to determine the scope of surgery on a patient, the surgeon may click several pictures of the patient. Surgery for Aponeurotic ptosis in India is generally performed under general anesthesia and during the surgery the levator muscles are tightened and repositioned. Levator resection surgery is a commonly performed surgery for the treatment of aponeurotic ptosis in which the amount resection is assessed before commencing with the surgery. The amount of levator resection depends upon the intensity of ptosis and the state of levator function in the patient. An anterior approach is mostly utilized because it gives the surgeon the flexibility for post-surgical adjustments. In case the eyelids are under-corrected the suture can be left in place for longer duration and if after the surgery the eyelid is too high, the sutures can be removed earlier. The anterior approach for levator resection also has some additional benefits as it is not only anatomically easier, the area of lacrimal accessory glands is also not disturbed. This approach is considered to be the best because of the unpredictability of the post-surgical results. During the surgery, the amount of levator resection can be determined by provisional fixation of the levator muscle. LPS (Levator Palpebrae Superioris) Plication surgery is a surgical technique for aponeurotic ptosis. A vertical incision is made in the conjucntiva and Muller’s muscle in the eyes till the levator Aponeurosis is identified. The site of the incision is above the tarsal plate. After the Aponeurosis insertion is identified at the anterior tarsal plate, the more superior levator muscle is plicated on to it. This procedure does not involve excision of any tissue. LPS plication through an anterior approach is minimally invasive and does not involve suture for the incision site which is small. Levator reattachment surgery involves reattaching the levator muscle to the anterior of the tarsal plate which may or may not involve shortening of Aponeurosis. For levator reattachment, an anterior approach is utilized which is made through an incision in the crease of the eyelid. Surgery for Aponeurotic ptosis is inevitable. Since the vision of the patient is obstructed and the condition gets worse with time it is crucial that the surgery for Aponeurotic ptosis should be done as soon as possible. The difference in the outcome of Aponeurotic ptosis surgery by different methods is not much. The best method of surgery is chosen by the surgeon. There are some very important things all patients of Aponeurotic ptosis should know. Aponeurotic ptosis surgery should be performed by an oculoplastic surgeon only. An oculoplastic surgeon is a super- specialist who has specialized in ophthalmic plastic surgery and is uniquely qualified to perform surgery for Aponeurotic ptosis. But even the top hospitals in India do not have oculoplastic surgeons. Dr. Debraj Shome is an oculoplastic surgeon who practices surgery in Mumbai. He has his clinics in Mumbai and in addition to that, the best hospitals of Mumbai have him as special visiting faculty member. Aponeurotic ptosis is generally not a life- threatening condition. Dr. Shome regularly gets elderly patients who are suffering from Aponeurotic ptosis at his clinics in Mumbai and he says a lot of them come to him all the way from all over India just to get a corrective surgery. This means that in even in the best hospitals of India either incorrect or incomplete surgeries are done on the patients. Also, not all the top hospitals of India are adequately equipped to carry out surgeries for Aponeurotic ptosis. So, instead of taking the undue stress of undergoing repeated surgery for the same problem, he advises the patients to get surgery done in Mumbai. Therefore surgery remains the only option for it. 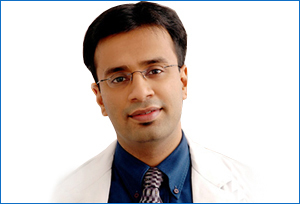 In Mumbai, along with various cosmetic surgeries, he performs oculoplastic surgeries routinely. He has treated everyone right from babies to very elderly people in Mumbai. Oculoplastic surgery is a rare super- specialty in which Dr. Shome is qualified. A lot of super- specialty clinics are coming up in India and in all of them there are only a few oculoplastic surgeons. Ptosis of all type has the scope of being under or over corrected. Dr. Shome performs this surgery in Mumbai with the top-of-the line modern equipments that are available in India. With his techniques, in all cases there has never been a requirement of a secondary surgery in all the cases when he has performed the surgery in Mumbai. Even patients who are more than 60 years of age do not mind travelling all the way to Mumbai from far corners of India to get the surgery for Aponeurotic ptosis at The Esthetic Clinics. All because of his patience, skill and top of the line health care that he provides in Mumbai. In India, his Mumbai clinics are always rated at the top of any medical survey. Thousands of patients have gone back from Mumbai to their homes in various corners of India with their vision completely restored. And the best part of getting treatment in Mumbai by the best specialist Dr. Shome is that if you are not from Mumbai and cannot travel, you can always take a follow- up consultation online only. Never before in India, has any doctor used such top technology and best online consultation for the patients. This feat has been achieved by Dr.Shome for the first time ever in India. Also, he has established the first e- hospital of India which has best medical specialists from not only India but all over the world. Indeed, Dr. Shome has changed the medical scene of India forever.